The opening word for any write-up on the Model 350 has to simply be "WOW"! We've tested some very powerful .177 caliber spring guns in the past. Guns such as the Beeman RX-2 and the RWS Models 48, 52 and 54, but this one surpasses all of them in sheer velocity. If hard hitting .177 caliber spring guns interest you, then check out the numbers on this beauty. I think it's safe to say that a flatter trajectory is not likely to be found in any other .177 caliber spring airgun. There just aren't many spring airguns in the 20-21 ft. lb. class from which to choose. Pellet after pellet shot in the 1000-1100 fps range. And more importantly, the accuracy and groupings were quite good for a gun of this power. 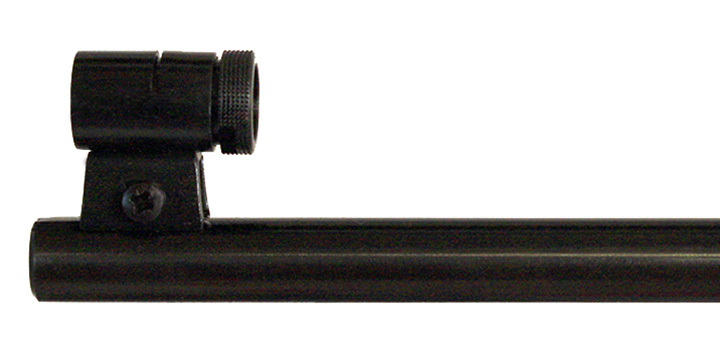 Generally speaking, it can be difficult to get spring airguns that shoot at ultra high velocity levels to group well. That is especially true when using lighter pellets in .177 caliber. The Model 350 did an excellent job of handling pellets of all shapes and weights. 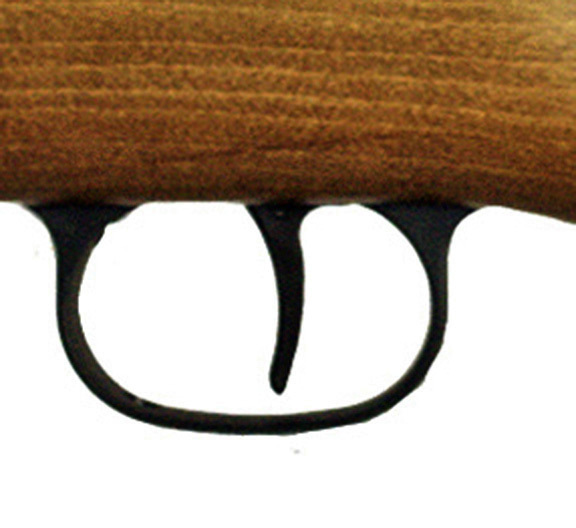 We were very surprised to see that a spring airgun of such high power levels could shoot as accurately as it did. This gun will be an excellent long-range plinker and pest control gun. It does have some recoil and motion but we found it acceptably smooth for a gun that shoots as hard as it does. This may very well be the new velocity and power leader in .177 caliber. 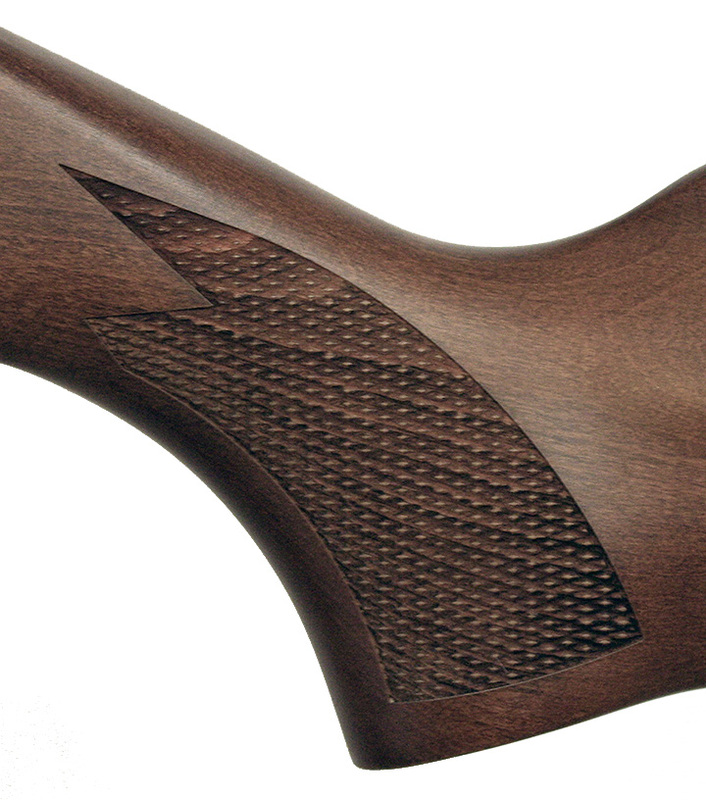 If this isn't part of your airgun collection it should be! The test results of the .22 caliber surprised us a bit. as well The velocity is advertised at 1050 fps in .22 caliber which our tests were unable to verify. Our tests came out well short of that although the gun still had a ton of power. Many guns don't measure up to manufacturer advertising claims though, so don't let that turn you off to the gun. 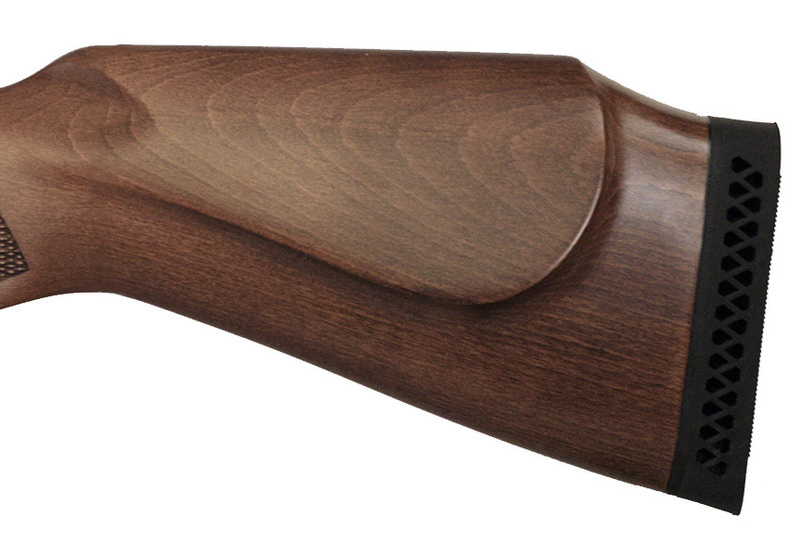 This is one powerful hunting gun which still packs 21-22 fpe of pure hunting power. We found the accuracy to be quite good for it's power range and hitting the mark should not be much of a problem for the average shooter. Being as powerful as it is, there was a fair amount of recoil and motion and the cocking motion sounded a bit rough although it actually cocked easier than most rifles in this power range. It's likely that the cocking sound will smoothen out over time as more and more shots are taken. Spring guns are at their roughest right out of the box and smoothen out quickly. In summary, the gun is well worth the money for a hunter or person looking for a lot of power in a .22. We were disappointed that the manufacturers overstated the velocity because it simply isn't necessary to do so. The model 350 has plenty of power and accuracy and we don't understand the need to overstate velocities when they are just fine as they actually are. Velocity results can differ from one test bed gun to another and we don't know what pellet was used for their testing, but don't let that deter you from looking at this gun. It's a gun that will thrill any shooter.